Super Savings Item! 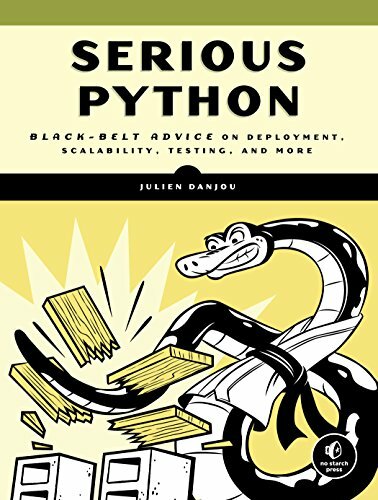 Save 37% on the Serious Python: Black-Belt Advice on Deployment, Scalability, Testing, and More by No Starch Press at Translate This Website. Hurry! Limited time offer. Offer valid only while supplies last. An indispensable collection of practical tips and real-world advice for tackling common Python problems and taking your code to the next level. The Hacker's Guide to Python will teach you how to fine tune your Python code and give you a deeper understanding of how the language works under the hood. This essential guide distills years of Python experience into a handy collection of general advice and specific tips that will help you pick the right libraries, distribute your code correctly, build future-proof programs, and optimize your programs down to the bytecode. Author Julien Danjou, an OpenStack contributor (the largest open source project written in Python) covers a swath of important areas like scaling, testing, and porting your code. You'll also learn directly from Python experts and get real-world (and time-saving) advice on topics like unit testing, packaging code, performances and optimizations, and designing APIs. Elevate your code and get seriously good at Python with The Hacker's Guide to Python!